I like Dustin Hoffman and all…but he’s just wrong. You know what the best thing about vacation is? You get stuff done that you totally forgot you had to do! During my blogging break I gutted my apartment of all things unwanted (and not needed) and cleaned like I had never before. I cleaned the walls and ceilings! No matter what anyone says, a vacation is a good thing, even if you never leave your city/town/village/whatever. 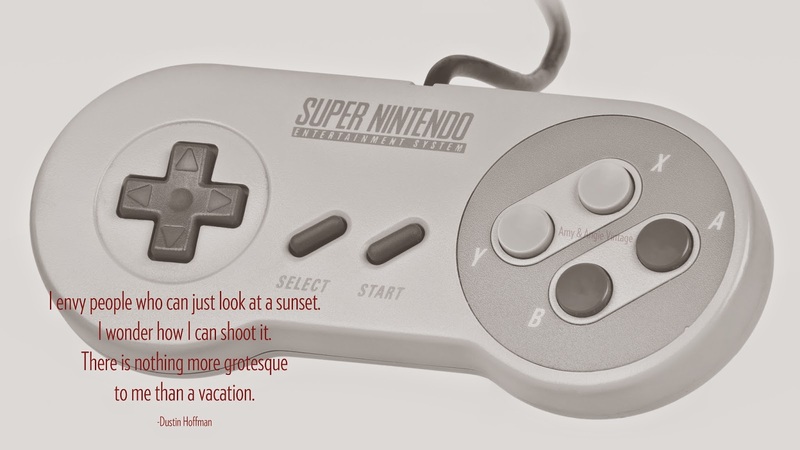 Also, I love Super Nintendo. I bet Dustin Hoffman hates that, too.